Zac Efron was dressed in suits on the red carpet at LACMA Art + Film Gala. 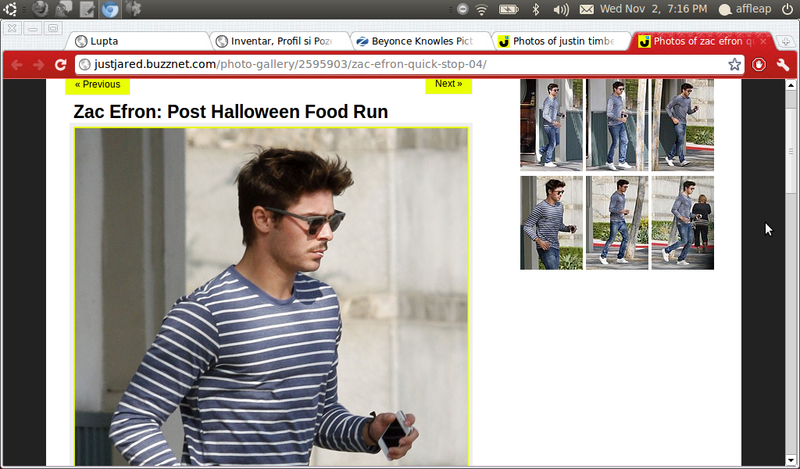 Zac Efron was spotted jogging to his car after leaving Palm restaurant on November 1 in Beverly Hills. 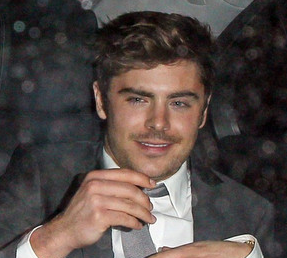 Zac Efron received a surprise treat from the son of a Russian billionaire during a night out at a Chicago club. 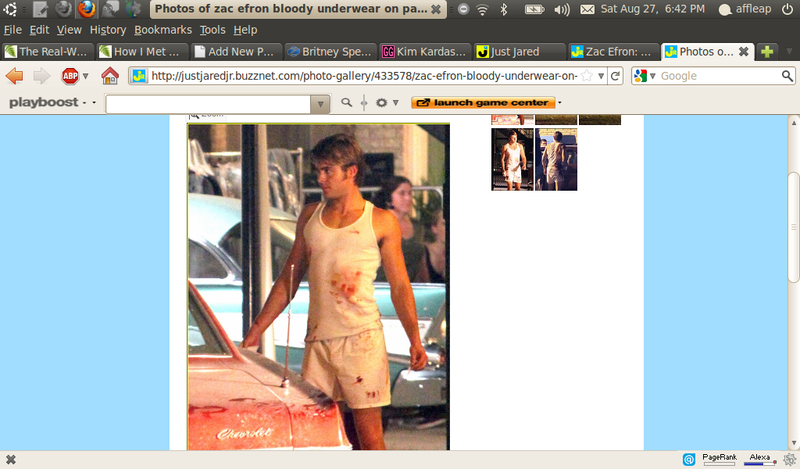 Zac Efron was wearing a pair of bloody boxers and a tank top for his film “Paperboy” on August 26 in New Orleans, Louisiana. 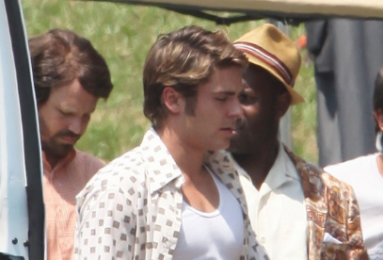 Zac Efron was holding bottle of beverage while walking around the set of The Paperboy on August 23 in New Orleans, Louisiana. Zac Efron flaunted his muscles while wearing a white tank top at “The Paperboy” set on August 10 in New Orleans, Louisiana. Zac Efron works on his fitness at a local park playground on Mandeville, Louisiana. Zac Efron was sporting a racing uniform while shooting scenes for the Untitled Ramin Bahrani Project on July 15 in Newton, Iowa. 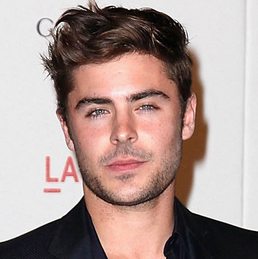 Could Zac Efron Prevent Ryan Rottman’s DUI Arrest? Should Zac Efron have told anything to Ryan Rottman to prevent him from taking the wheel after drinking? 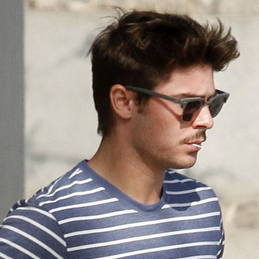 Read moreCould Zac Efron Prevent Ryan Rottman’s DUI Arrest? Ashley Tisdale received a surprise when former “High School Musical” co-star Zac Efron turned up for her 26th birthday celebration. Zac Efron was seen on set of his new film “New Year’s Eve” in New York City on March 3. Zac Efron, who was newly single after split with Vanessa Hudgens, accompanied Teresa Palmer to a screening of her new movie “Take Me Home Tonight” on February 3.